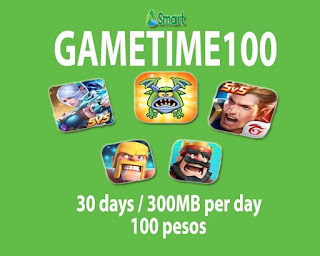 One of the newest data promo offer from Smart is the GAME100 or Game Time 100 that give you 30 days online access to your favorite online mobile game app. It only cost you 100 pesos for one-month long-playing Clash of Clans, Mobile Legends, Arena of Valor, Clash Royale and Everwing. Those mentioned apps must be installed first on your mobile phone prior to registration to this promo as this does not include data for downloading. The 300MB per day data allocation is very capable to handle your gaming experience when you subscribe to this promo. If you are playing data intensive game like AoV and Mobile Legends, you need to make sure you have a good signal reception to have stable internet connection. You can subscribe to this promo by simply texting the keyword. Make sure you have enough load balance on your Smart prepaid before you can register for this affordable offer. You can go directly to your load retailer to reload for 100 pesos or you can also buy card at your nearest Smart store and resellers. See for below for your reference. 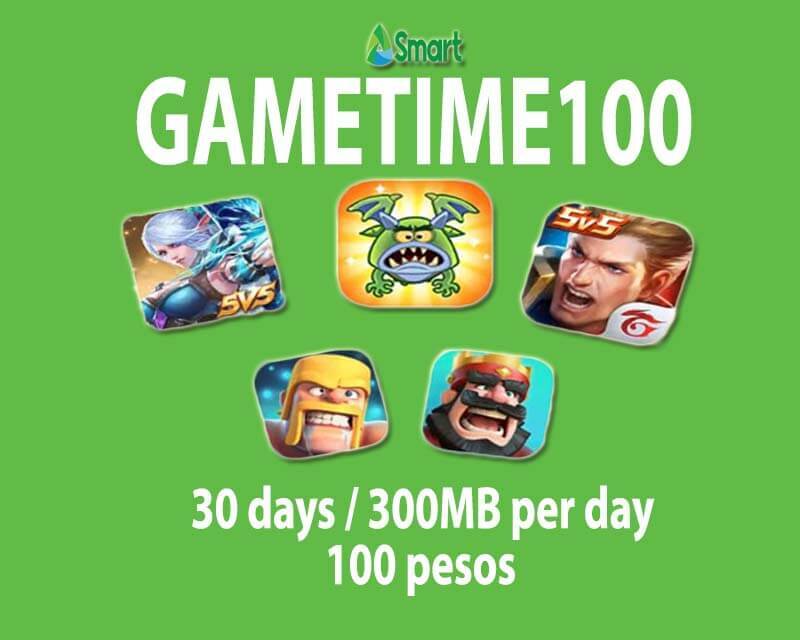 There is also a cheaper Smart Game50 promo for 50 pesos valid up to 7 days with the same app access inclusion. Make sure you receive the SMS confirmation from Smart before you start using this Game100 promo and turn off your mobile data while waiting for the notification to avoid the unwanted load deduction. For other Smart Prepaid GameTime offers, just visit their website and social media pages. how to unsubscribe from the promo? the keyword?